This course runs for 36 weeks. 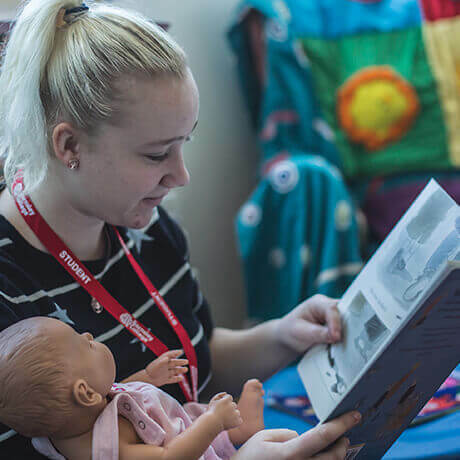 You should be at least 19 years old with a suitable Level 3 qualification in Childcare, Health and Social Care or Clinical Health. Level 3 qualification in Assessing Vocational Achievement. This qualiﬁcation covers understanding the principles and practices of assessment, assessing occupational competence in the work environment and assessing vocational skills, knowledge and understanding. It is intended for those who assess in the work environment and in other training environments such as workshops or classrooms. You will be assessed through work based assessments in the workplace and various evidence methods throughout the programme, building up a portfolio. You will be required to provide a lever arch file, plastic wallets, dividers pen and paper. A copy of the standards will be given to you by your tutor on your first visit. Level 4 qualification for Internal Quality Assurance.